Primary color Blue + Green Bow Pink Bow Either Bow is Fine! 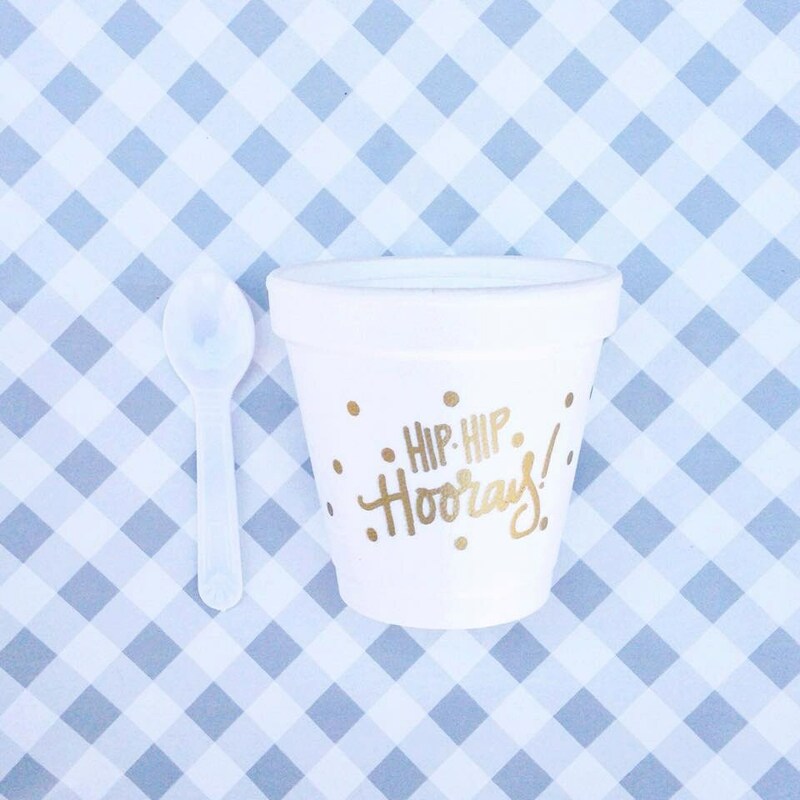 Fun for birthday parties, graduations, celebrations … or any day that needs a little ice cream hip hip hooray! Styrofoam Cup to keep ice cream cold! 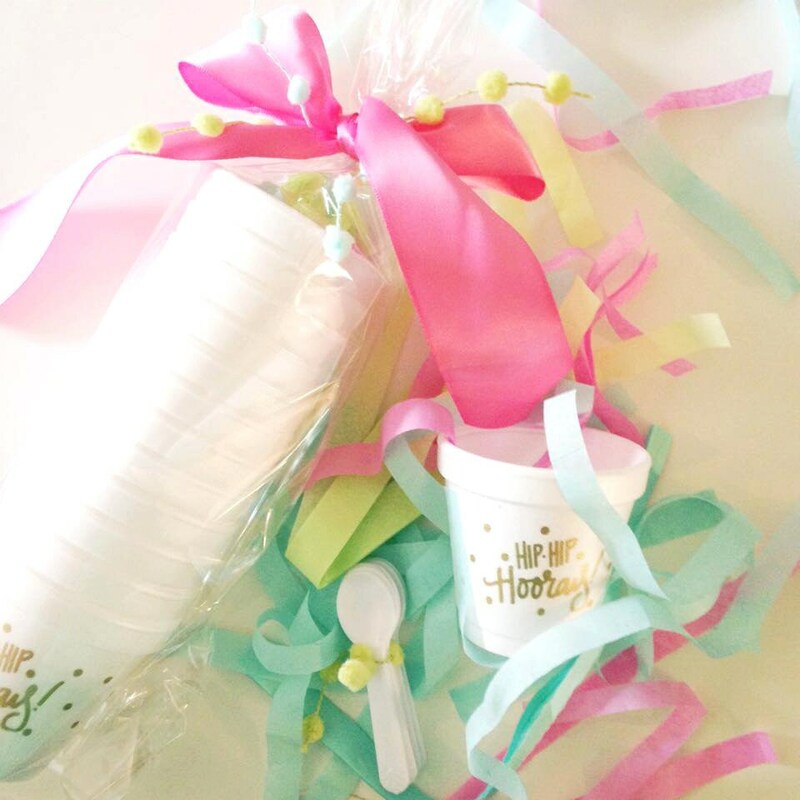 Includes 12 mini ice cream spoons! 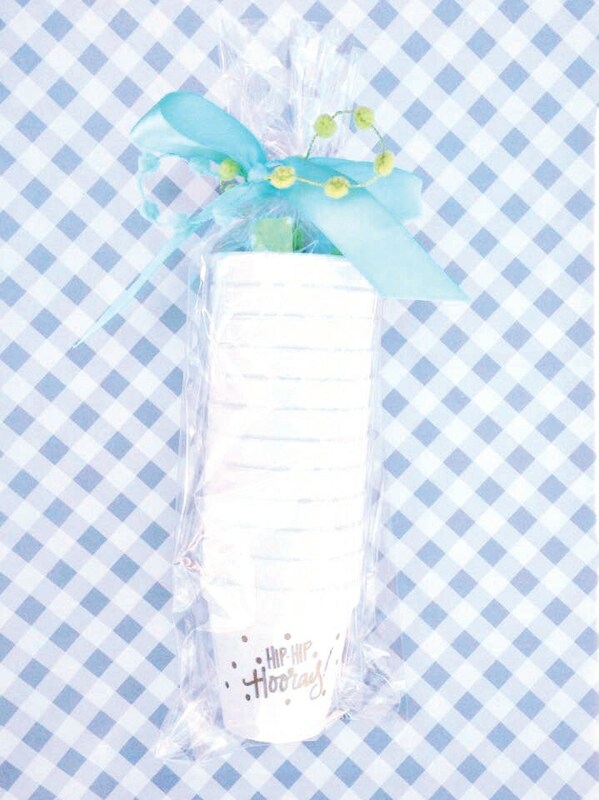 Packaged with cups + spoons in a cellophane bag with a big bow! Really nice ice cream cups that even came with spoons! Great for children and adults too! I will definitely buy from this store again! Very cute, well packaged, quick delivery. These were great for my son's first birthday party. A little smaller than I expected, but then, I probably didn't read very well. The only thing is I really wish these were paper instead of styrofome! The ice cream cups are just the right size. Adorable! Perfect! Lovingly packaged. Quickly and specially sent.